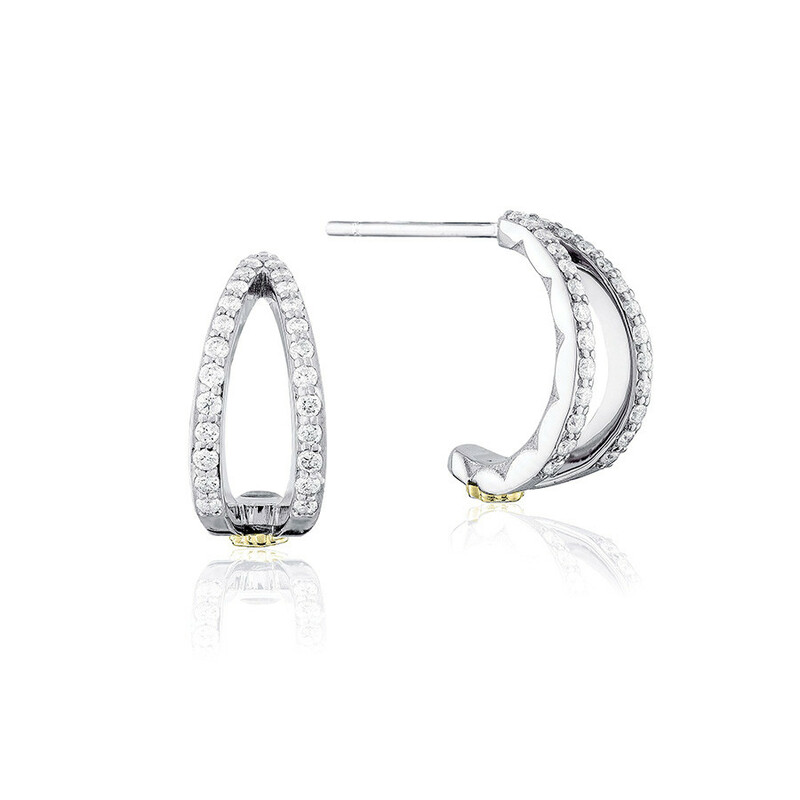 The Ivy Lane collection features these alluring Tacori double hoop earrings. Joined at the stud backing, two sterling silver hoops open up and connect again at the 18K yellow gold Tacori seal. Bright white diamonds embellish this glorious set for that lovely shimmer. Let Tacori beautify your look.